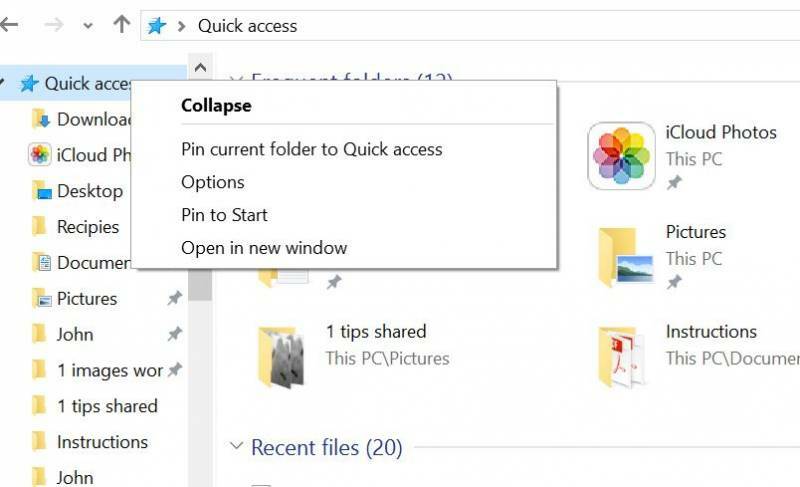 A way to quickly open favoured folders is, well, by adding them to the Favourites or Quick Access section at the top of File Explorer. The process for doing so isn’t exactly obvious, however. Drag the folder itself onto the Favourites icon (or Quick Access icon) in File Explorer’s left-hand pane, or navigate to the chosen folder directly, then right-click the Favourites icon and select Add current location to Favourites. (Or Pin to Quick access). Dropping common folders into Favourites is especially handy when it comes time to save files. If you wind up filling your Favourites with too much stuff, just right-click your chosen folder in Favourites / Quick access icon in File Explorer and choose Unpin from Favourites / Quick access.